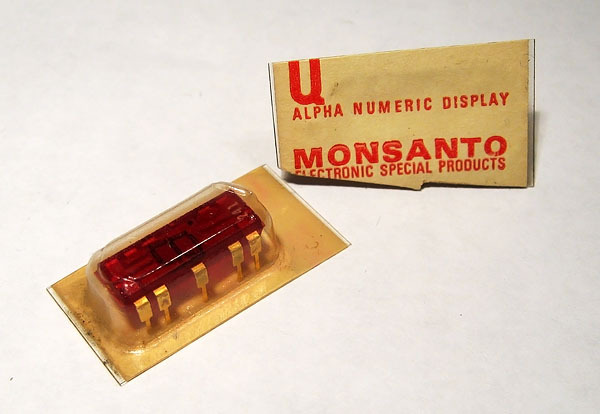 The somewhat unusual looking MAN4 LED display was Monsanto's attempt to add a low cost option to its line of first generation LED products. 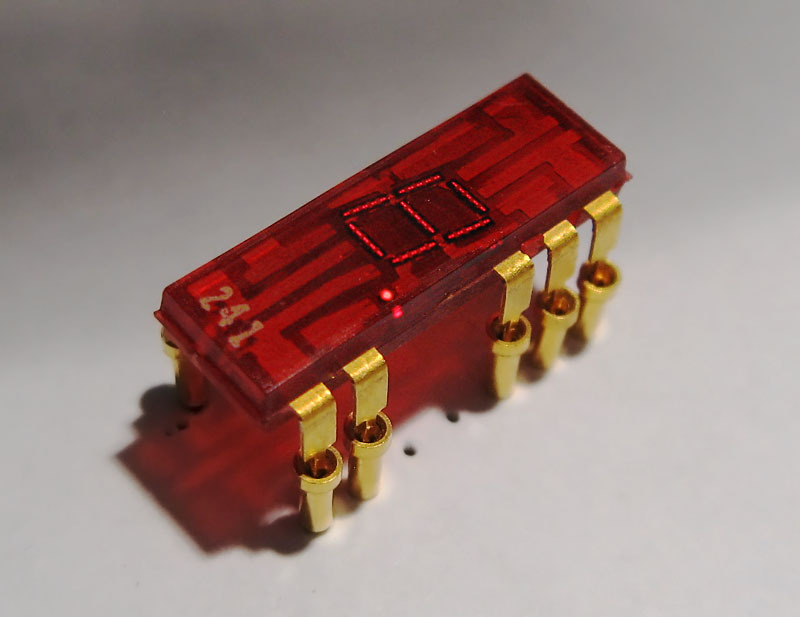 Instead of being contained in a custom epoxy package, the MAN-4 is encapsulated in a standard 14-pin plastic DIP, made from red resin for visibility. 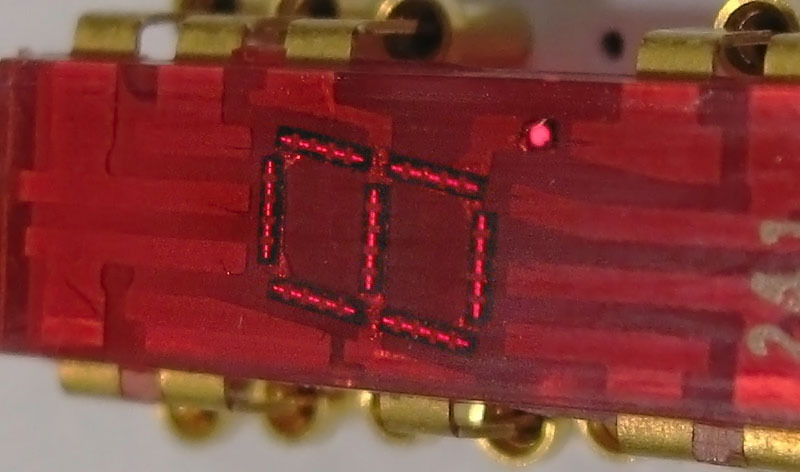 This results in a hilariously small display area relative to the size of the package - the LED digit within the MAN-4 is only 4mm high. 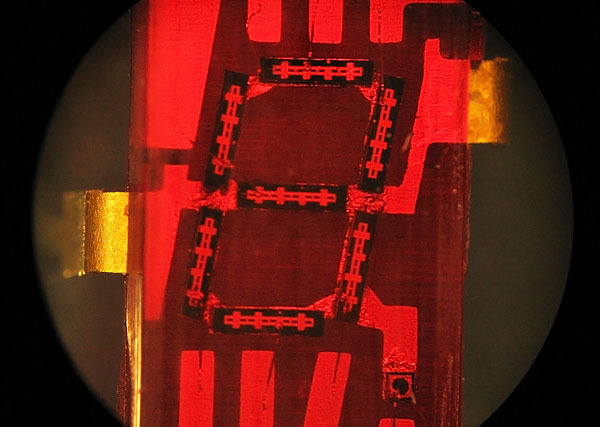 Each segment of the display is made from a single elongated LED die, bonded to a common sheet metal leadframe. 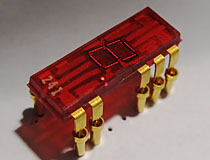 The MAN-4 was a rather unpopular product, and was used in relatively few devices. Monsanto MAN4 at 20x magnification. Monsanto MAN-4 LED display, normal operation. 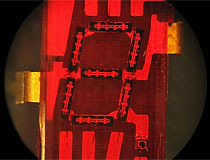 The MAN4 has a digit height of only 4mm. The MAN-4 is shipped in standard Monsanto blister packaging.